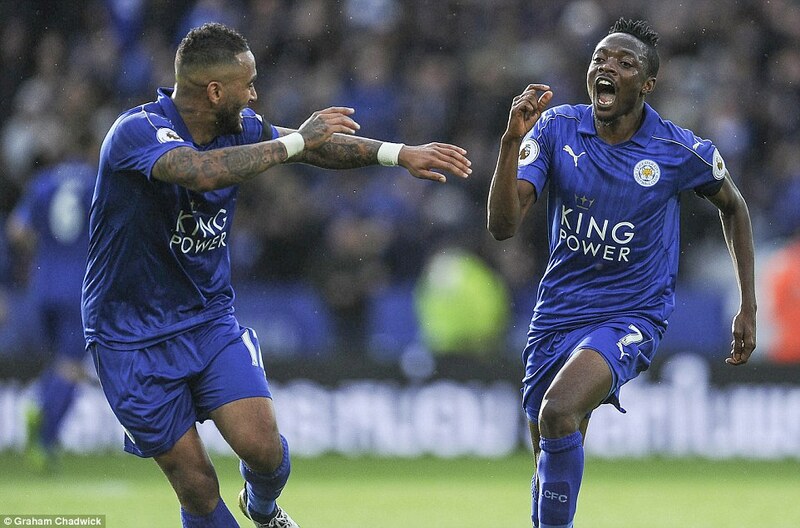 Super Eagles winger, Ahmed Musa opened his Premier League goal account with a sublime finish in Leicester City’s 3-1 win over Crystal Palace at the Kings Power Stadium on Saturday. Musa who was making his first Premier League start since joining the Foxes during the summer transfer window, opened the floodgate of goals in the 42nd minute with a delightful finish. Further goals from Shinji Okazaki and Christian Fuchs, who recently extended his contract gave the hosts a comfortable lead before Yohan Cabaye scored a consolation goal in the 85th minute for Crystal Palace. The former CSKA Moscow winger was later substituted in the 81st minute for Demarai Gray after playing his part in the team’s victory.